Finsbury Park’s one day summer fest has just had four new bands added to the bill. 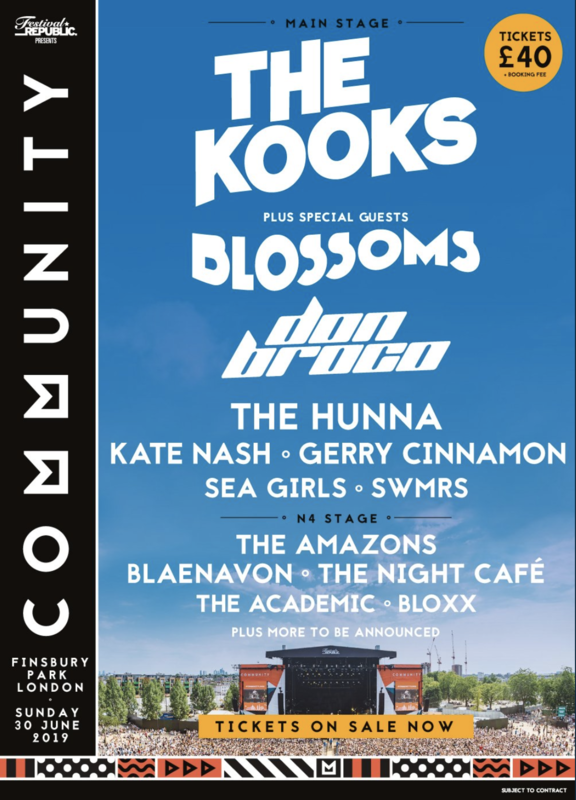 Community Festival goers already had the likes of The Kooks, Blossoms and Sea Girls to look forward to, and now have an excuse to get even more excited with the addition of The Hunna, Don Broco, Blaenavon and SWMRS. The festival – which will take place on Sunday June 30 – caters for more than 45,000 music fans each year and tickets are just £40 plus booking fee for the whole day. For tickets, visit the Community website.